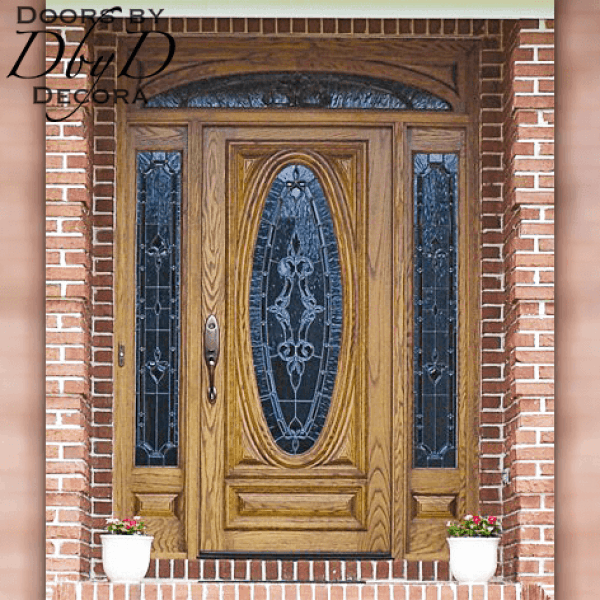 This Front Exterior Entry is an Oak 36″ x 80″ Style “A-3″ Door with two Oak 12″ x 80” Style “A-3″ Sidelites and a 12” Rectangular Elliptical Transom. The Leaded, Beveled and Textured Glass was designed and built by Doors by Decora. The Hardware is Baldwin Blakely 85360-050. The Stain Color is Provincal.